The age at which children learn a second language can have a significant bearing on the structure of their adult brain, according to a new joint study by the Montreal Neurological Institute and Hospital - The Neuro at McGill University and Oxford University. 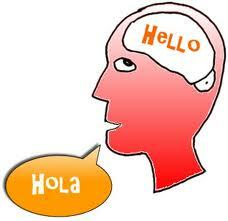 The majority of people in the world learn to speak more than one language during their lifetime. Many do so with great proficiency particularly if the languages are learned simultaneously or from early in development. The study concludes that the pattern of brain development is similar if you learn one or two language from birth. However, learning a second language later on in childhood after gaining proficiency in the first (native) language does in fact modify the brain’s structure, specifically the brain’s inferior frontal cortex. The left inferior frontal cortex became thicker and the right inferior frontal cortex became thinner. The cortex is a multi-layered mass of neurons that plays a major role in cognitive functions such as thought, language, consciousness and memory. The study suggests that the task of acquiring a second language after infancy stimulates new neural growth and connections among neurons in ways seen in acquiring complex motor skills such as juggling. The study’s authors speculate that the difficulty that some people have in learning a second language later in life could be explained at the structural level. Using a software program developed at The Neuro, the study examined MRI scans of 66 bilingual and 22 monolingual men and women living in Montreal. The work was supported by a grant from the Natural Science and Engineering Research Council of Canada and from an Oxford McGill Neuroscience Collaboration Pilot project. The Montreal Neurological Institute and Hospital — The Neuro, is a unique academic medical centre dedicated to neuroscience. Founded in 1934 by the renowned Dr. Wilder Penfield, The Neuro is recognized internationally for integrating research, compassionate patient care and advanced training, all key to advances in science and medicine. The Neuro is a research and teaching institute of McGill University and forms the basis for the Neuroscience Mission of the McGill University Health Centre. Neuro researchers are world leaders in cellular and molecular neuroscience, brain imaging, cognitive neuroscience and the study and treatment of epilepsy, multiple sclerosis and neuromuscular disorders. For more information, visit theneuro.com.